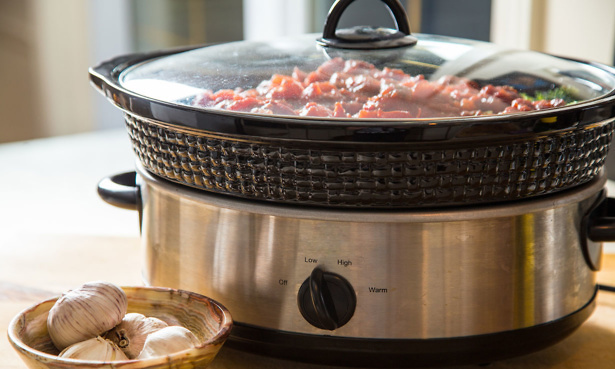 Slow cookers may look like relatively simple appliances, but our tests reveal that they can differ dramatically in the quality of food they produce. In our most recent tests, two models excelled, cooking a mouth-watering beef stew with succulent meat, tender veg and a rich, smooth gravy. They’re also great for roasting meat and making succulent, tender chicken. But pick the wrong one and you could come home to dry, shrivelled stews with burned tops and undercooked veg. And it’s not always the cheap ones that disappoint. We’ve tested the latest models from brands including Argos, Crock-Pot, Morphy Richards, Russell Hobbs and Sainsbury’s. All claim that their slow cookers can have a tasty meal on the table for you to come home to, but which one fails spectacularly to live up to expectations? Head to our slow cooker reviews to discover which models impressed and the poor slow cookers to avoid. Alternatively, read on to find out more about the new slow cookers we’ve put to the test. Historically, slow cookers have tended to look more practical than stylish. But, possibly due to the increased popularity of open-plan kitchen/dining areas or the lack of space to stash them away between uses, we’ve seen some more attractive options hit the shops. The new Russell Hobbs slow cooker has a fun chalkboard finish that allows you to write on the pot. Use it to make note of times, recipes or what’s cooking – or just to doodle. It has a 3.5-litre claimed capacity, and low, high and keep-warm settings, as well as a cooking indicator light. But does it make tasty food and how easy is it to clean? Find out in our Russell Hobbs Chalk Board slow cooker review. This large, matt black slow cooker by Morphy Richards has an on-trend rose gold metallic trim, so it should make a stylish addition to your kitchen. It’s available in this cavernous 6.5-litre version and a smaller 3.5-litre one (460016). Like the Russell Hobbs above, it has high, low and keep-warm settings, plus an indicator light. 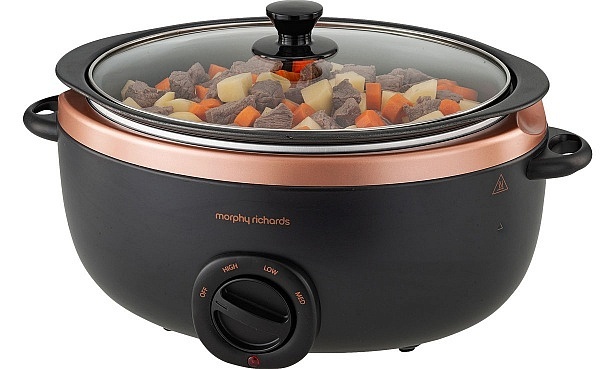 Find out whether it cooks as well as it looks, and how the smaller version compares, in our Morphy Richards Sear and Stew 461016 review. Premium features can make a slow cooker easier to use but you don’t necessarily need them to make a perfect stew. There’s no point in having a fancy, high-tech slow cooker if it can’t cook food properly. 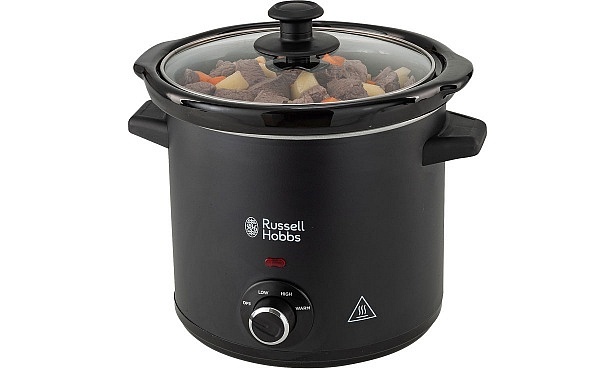 Removable cooking pot – that can be used on gas, electric and (less commonly) induction hobs to sear meat before slow cooking. Keep-warm – keeps your meal hot until you’re ready to eat, though you can use the low setting if your slow cooker doesn’t have this feature. Some models automatically switch to the keep-warm function when the meal is ready. Timer – turns the slow cooker off if you’re not back when cooking has finished. Auto-cook – starts cooking on high then drops to low for the rest of the cooking time. 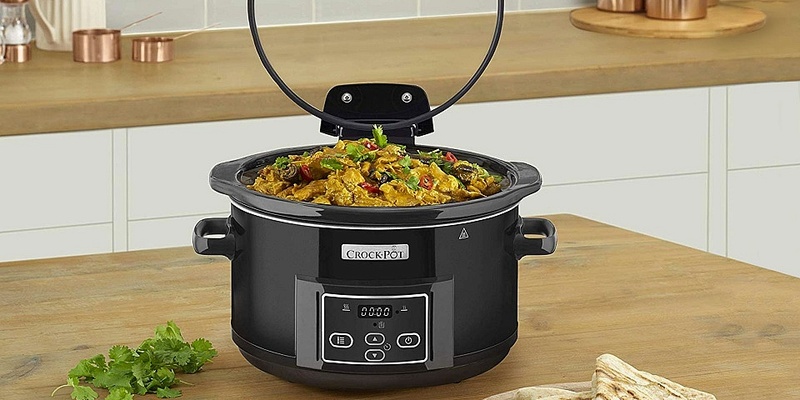 Some premium Crock-Pot models also have features such as a hinged lid that aims to make it easier to serve food, and an auto-stir to keep ingredients moving during cooking. See what we thought of these features in our Crock-Pot slow cooker reviews. If you’re looking for a cheap slow cooker, you don’t have to compromise on quality. We’ve tested models ranging from £12 to £95, and found cheaper models that have triumphed over expensive ones in our tests. See Best Buy slow cookers for our top cheap picks. Prices correct as of 29 November 2018.